Weather: Bright with lots of sun and almost flat calm. The threat of high winds and torrential rain on Thursday after 4pm was an ever present and rather dictated where we went. 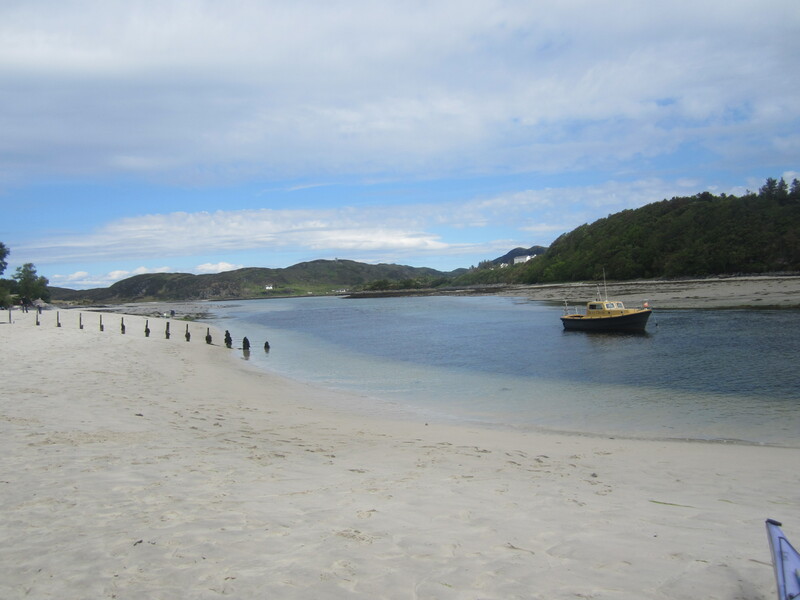 From our put in, the River Morar was very shallow between extensive sand banks. 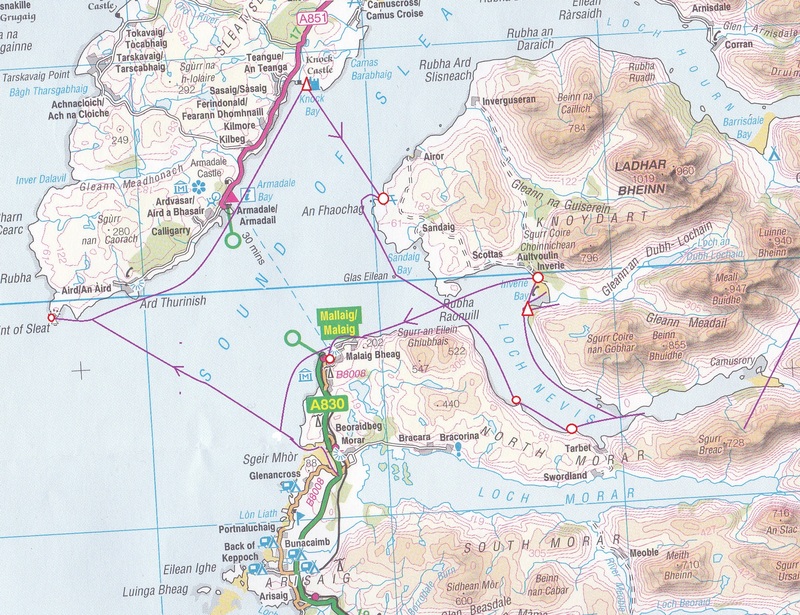 There was a bit of scraping before embarking on the 8 mile crossing to Skye. This proved easy if lengthy. 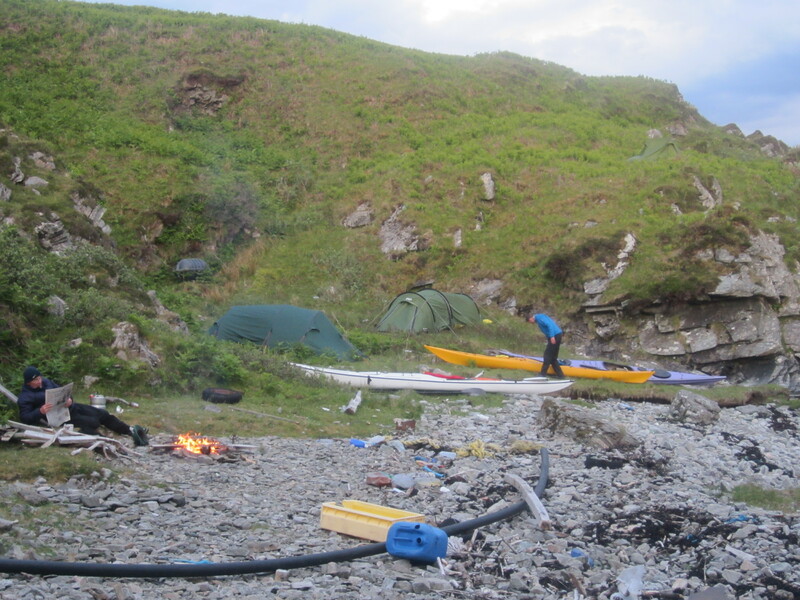 Instead we headed up north along the Skye coast past Armadale and the Gaelic college eventually camping on a fairly rough site. 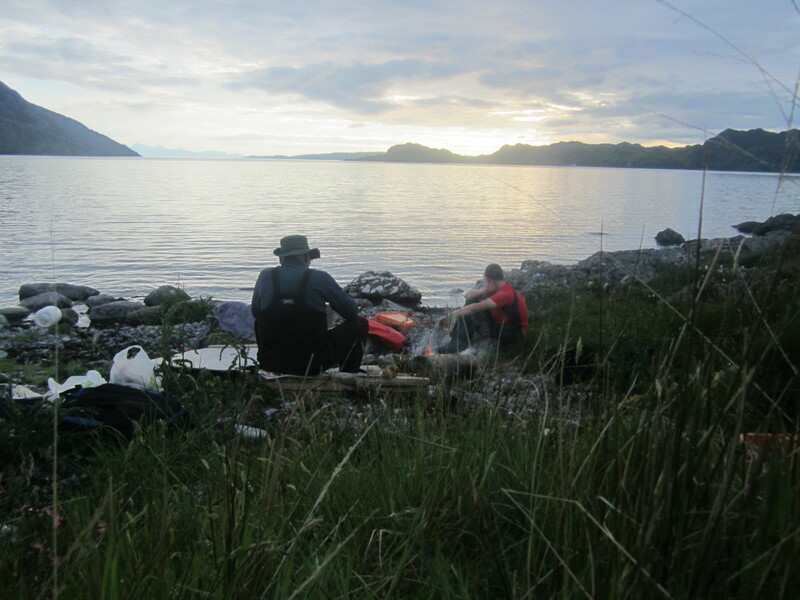 However the supply of wood was excellent and a brisk north easterly kept the dreaded Skye midge away. A good evening. The wind dropped overnight and our winged friends made breakfast a limited pleasure. 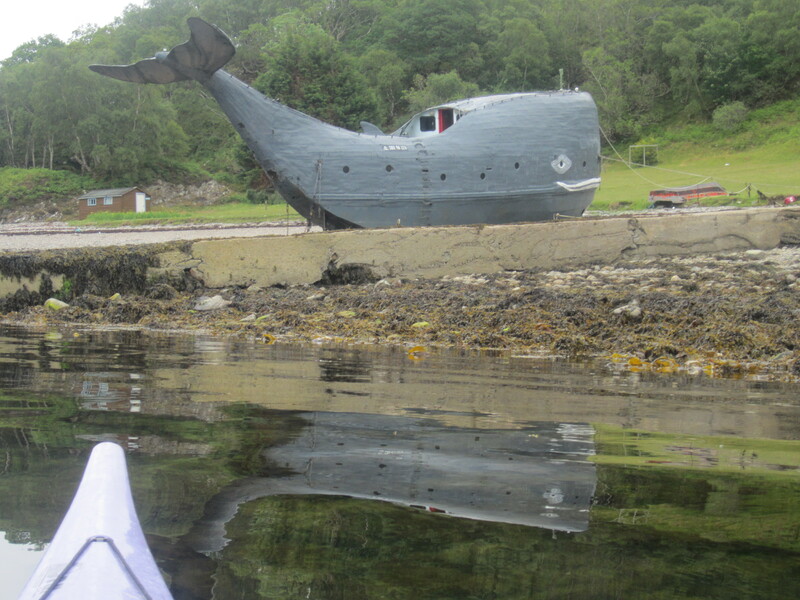 We had a break at Doune on Knoydart then pushed on to Loch Nevis. Given that it is totally isolated, there is a surprisingly large and active community around Tarbet and the Kyles leading into the upper loch. 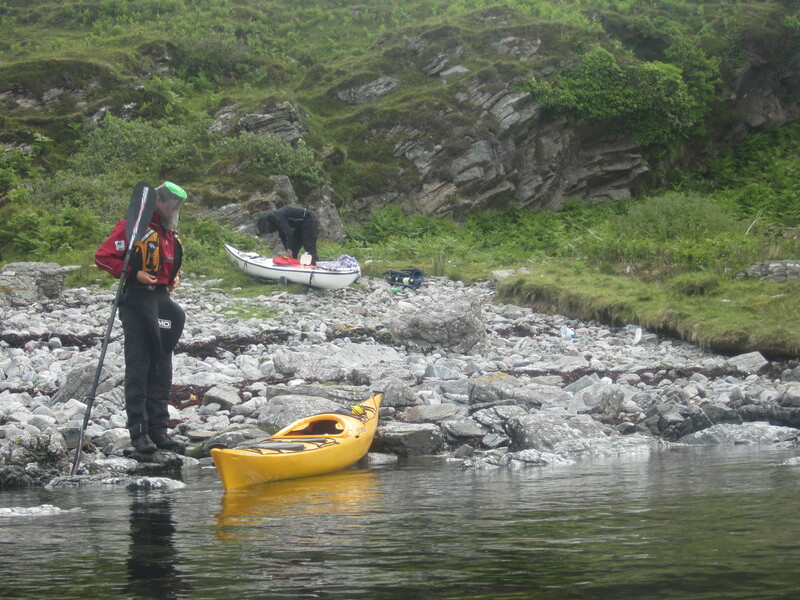 The tide flows through the Kyles at 5 knots; too fast to paddle against. We arrived just as the tide turned and started flowing in. The result is that if we went on we could not get out again for 6 hours. Given our schedule we had to turn. Even then it was a struggle to do the few hundred metres against the incoming tide. Back up at Inverie we began the search for a campsite. The dominant factor was midges and the need for a good fire to keep them at bay. 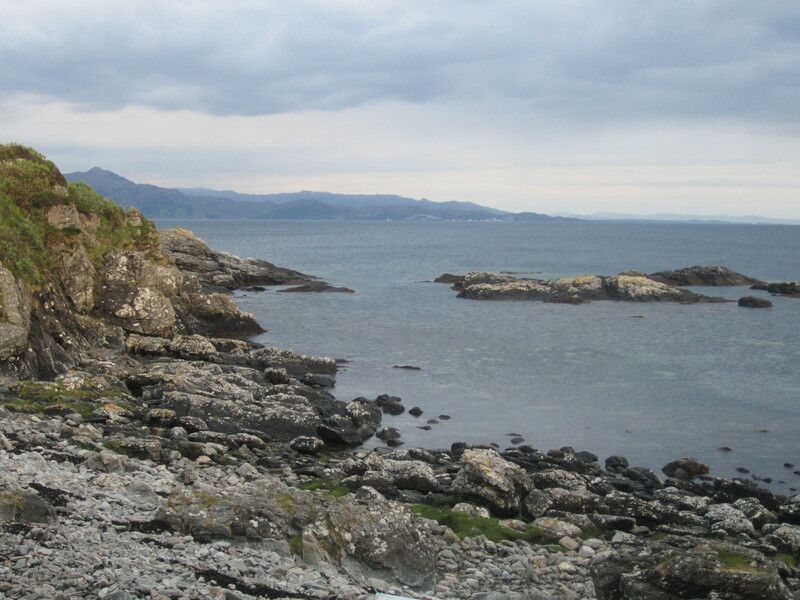 The choice between the established site in Inverie and a rough site a km further back was won by the rough site, which in retrospect was probably a mistake. 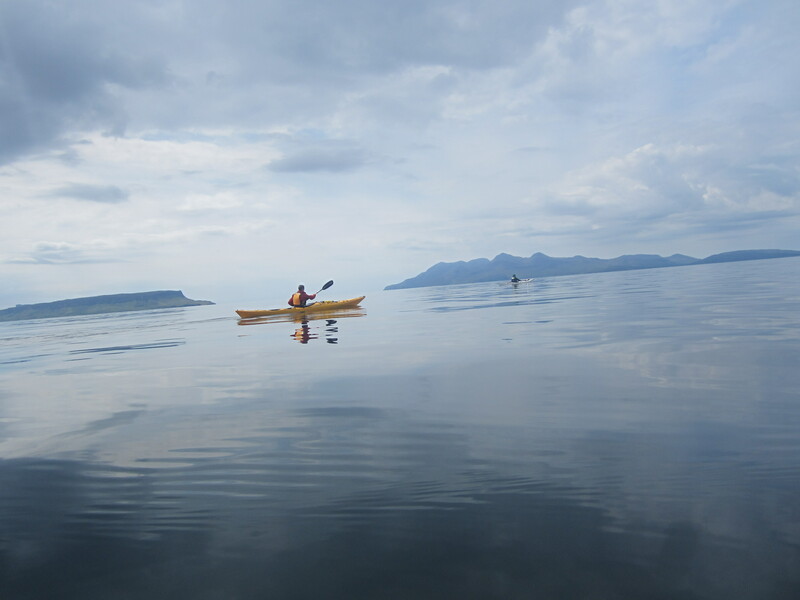 A night paddle was as much an escape from midges as a trip to the pub. 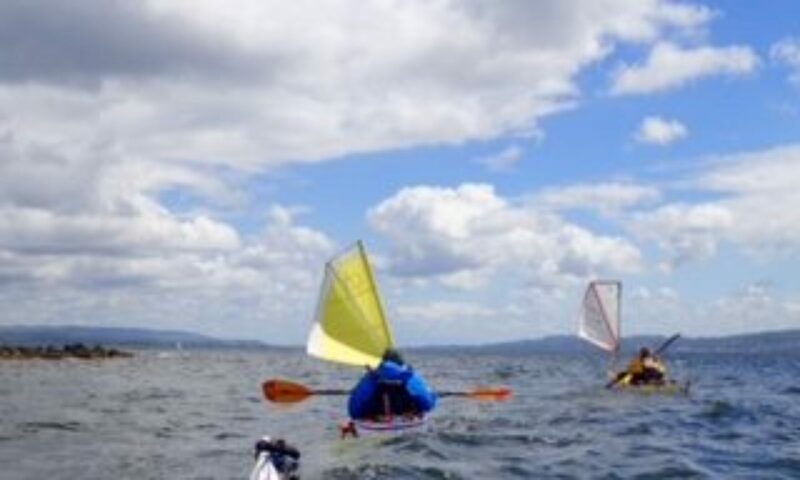 A quick paddle to Inverie for an ice cream. 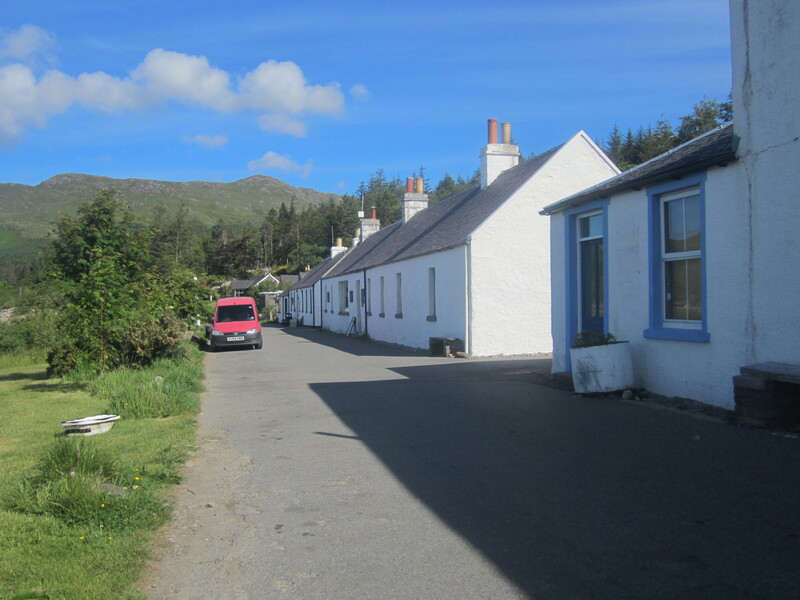 Knoydart is an excellent example of a community buy out. The struggling village of 25 years ago is now busy, thriving and beautiful. 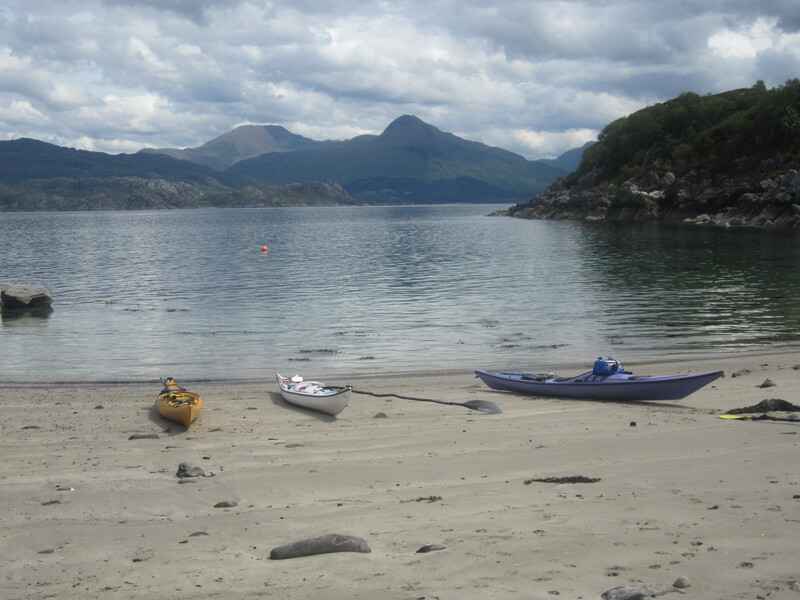 A wonderful morning and a gentle paddle to a beach just short of Mallaig. 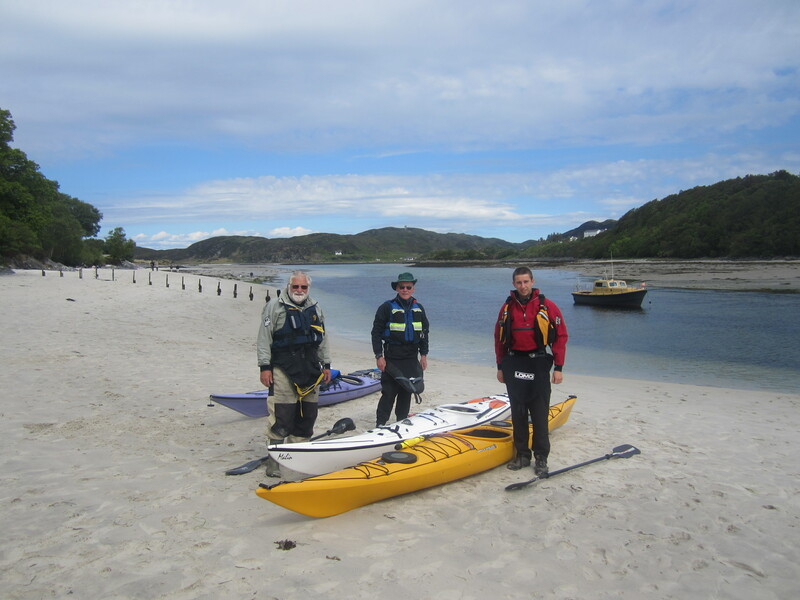 AsA short visit to Mallaig, where two other kayak groups were parked up on the beach, and then on to Morar arriving just as the weather broke at 4pm. Another excellent trip.